The description for Event ID 18960 from source MSCRMKeyService cannot be found. Either the component that raises this event is not installed on your local computer or the installation is corrupted. You can install or repair the component on the local computer. Manually create the plug in steps and then restart CRM website (i.e. iisreset) and also restart CRM asynchronous service. 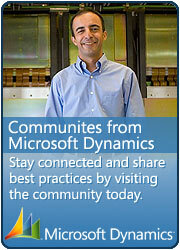 This entry was posted in CRM 4.0, Error and tagged CRM Plugin on April 29, 2010 by mayankp. This error is what I think the same as the error I found while running an XML script. “CRMAuthenticationToken is not defined”. This might be a solution but how would I manually create the plug in?